1. 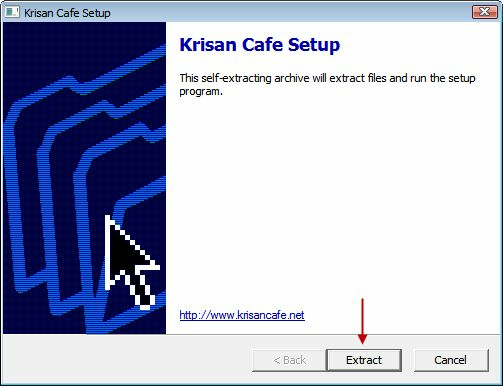 Open Krisan Cafe and it will popup windows click "Extract" (Figure 1). 2. 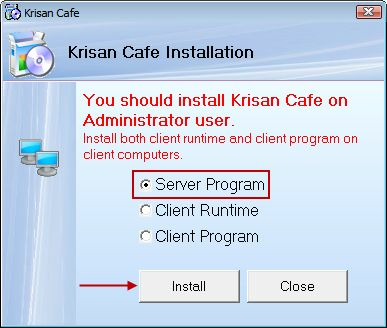 Select server program then click "Install" (Figure 2). 3. 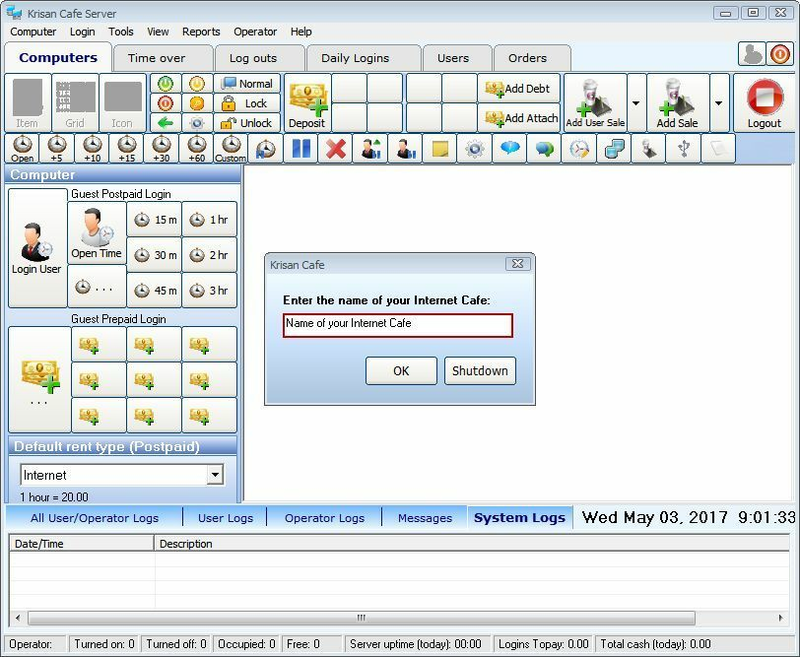 Now click "Next" (Figure 3). 4. 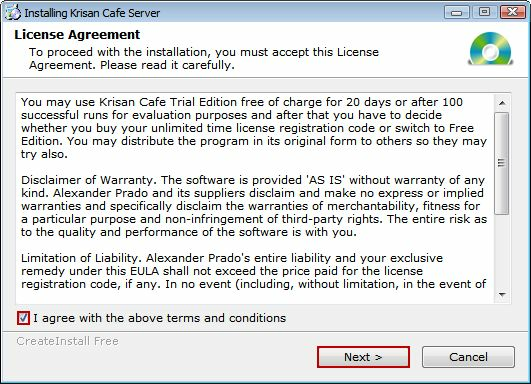 Check "I agree with the above terms and condition then click "Next" (Figure 4). 5. 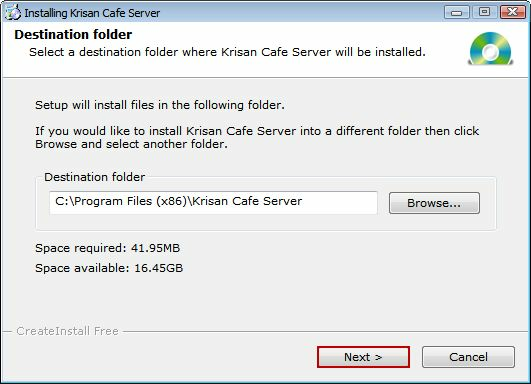 Select your Installation directory then click "Next" the default directory is "Drive C" (Figure 5). 6. 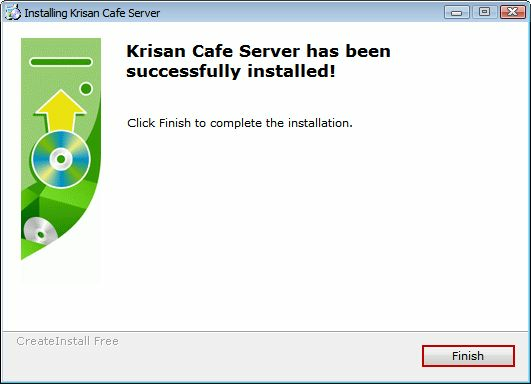 Now click "Finish" to complete the installation (Figure 6). 7. 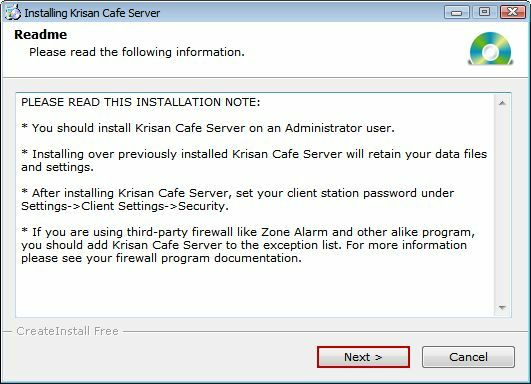 After installation open krisan cafe and create your "Internet Cafe Name" and click "Ok" (Figure 7).